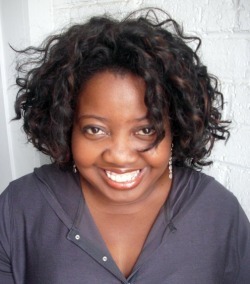 This post is part of our “Real People” series from Merlisa L., age 47 of Central Florida. My philosophy when it comes to time and money is that it’s easier to make more money than it is to find more time. So when possible, I use money to buy more time. This is one of the reasons I had always used full-service moving companies. 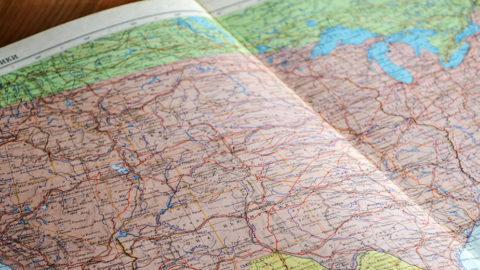 I thought the one-stop shop approach to moving saved me enough time to offset the extra cost. However, that changed when I chose PODS to move from Arlington, Va. to Orlando. 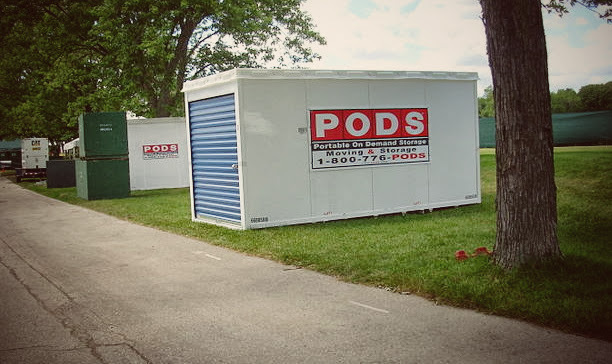 I had seen PODS parked outside of people’s homes. The concept seemed reasonable, but I was skeptical. Being a bit “old school”, I still use a Blackberry and paper scheduling system. So I needed to investigate this “new school” way to move. I read reviews, watched videos on YouTube, and polled friends on Facebook. After comparison-shopping, I chose PODS. On paper, renting a truck seemed cheaper. That was until I added the mileage, gas, and the cost of a one-way plane ticket to fly my brother back to Virginia. He had volunteered to drive the truck while I drove my car. I also read too many online reviews and horror stories from people who had trucks break down on them in the middle of nowhere. I liked the flat-rate quotes. 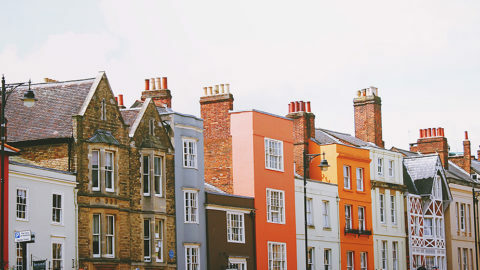 With full-service companies, the cost sometimes escalates far beyond the quote. The PODS cost me less than half of a full-service moving company. I’ve moved enough to know self-packing is a waste of time. Friends and family members aren’t much better. I think strangers are best because they are completely detached from your stuff. They focus on the job. Strangers won’t stop to ponder whether your favorite Miami Dolphins coffee mug should go with the fine porcelain. Use friends and family members to pick up post-move takeout. When I booked my PODS online, I was sent to a page with links to everything else I needed, including boxes, helpers, and moving supplies. I chose moving labor from HireAHelper. With a few clicks I was able to secure two movers from Get Up And Go Movers via HireAHelper’s online marketplace to pack my PODS. It was so easy that I called them several times to confirm that I had actually hired two real-life guys, at a flat rate cheaper than the boxes I bought. No move is stress-free. But using PODS caused less stress than I expected. I was the only person with a key to the lock on the POD, so I knew my belongings were safe. Having the HireAHelper team do the heavy lifting saved me time, and my brother’s back. Friends and family movers are ok when you’re in your twenties and moving disposable furniture from your hatchback to your dorm. But once you’ve acquired better things, you take better care. You don’t want to risk destroying your vintage mid-century modern credenza because your brother’s knees buckled under pressure. The biggest drawback for PODS was the lack of size selection. I was leaving an 875-square-foot condo and moving to a 1200-square-foot condo. My son was turning 16 and I had decided to toss his old bed and purchase him new, more grown-up furniture in Florida. I was moving the equivalent of a one-bedroom apartment. Truck rentals offer a variety of sizes to suit your move. 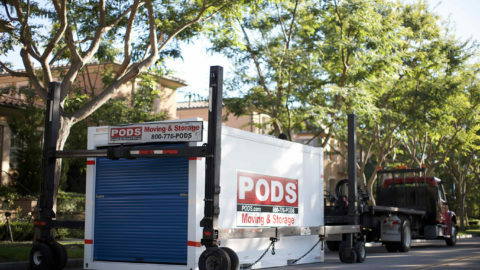 With PODS I had to choose between a 7’ x 7’ x 8’ container, which only holds one room, or the 16’ x 8’ x 8’ container, which holds three to four rooms. A more suitable container for me would have been the 12’ x 8’ x 8’ container, which holds two to three rooms. But that container is only available for local moves. Another problem with PODS is logistics. If you own a single-family home with an adequate driveway, this will not be an issue. But in a densely populated place like Arlington, parking is at a premium. The trucks that deliver the PODS need three parking spaces to maneuver the drop off. I had to ask neighbors to move their cars. Also, my condo association in Arlington did not allow the POD to remain over night, so I couldn’t take advantage of the month-long period PODS gives you for loading. I had to coordinate the arrival of the helpers with the driver. That was tricky with the two to four hour window they gave me. The people at PODS were great at working with me to on the schedule. The driver himself (glad that it wasn’t some remote call center) gave me updates on his arrival time. So I could call the HireAHelper moving laborers and make sure they arrived on time. All I did was click and call. I secured my container at PODS.com, hired my helpers via HireAHelper.com, and even ordered my boxes and packing materials from Amazon.com – all online. The calls I made were unnecessary, except to alleviate my anxiety. The overall experience was positive: The movers showed up on time and were professional and efficient. I was able to drive to Florida feeling relaxed. Even having the larger POD worked in my favor. My car carried only the luggage we needed for a weekend stay with relatives. With no truck in tow and under no pressure to return a rental, I stopped in Brunswick, Ga. for a pleasant overnight hotel stay. I had bought myself enough extra time to enjoy a mocha and muffin at a quaint coffee shop the next morning.